I didn’t originally intend to write Part 4 of this series. But as I wrote about the options for parents and families and children to leave their “failing” schools, I kept feeling I was missing something…that there must be another Option, another Choice. Knowing that many parents and families of children zoned to “failing” schools will decide to stay put and not leave (for reasons other than money or transportation), I decided to explore this Other Choice. Of course we each need to do our part in sending a motivated and prepared student to school to learn. That’s a given. That is not what this post is about. This post is for parents and families who want to take the next step and help with whole-school improvement. 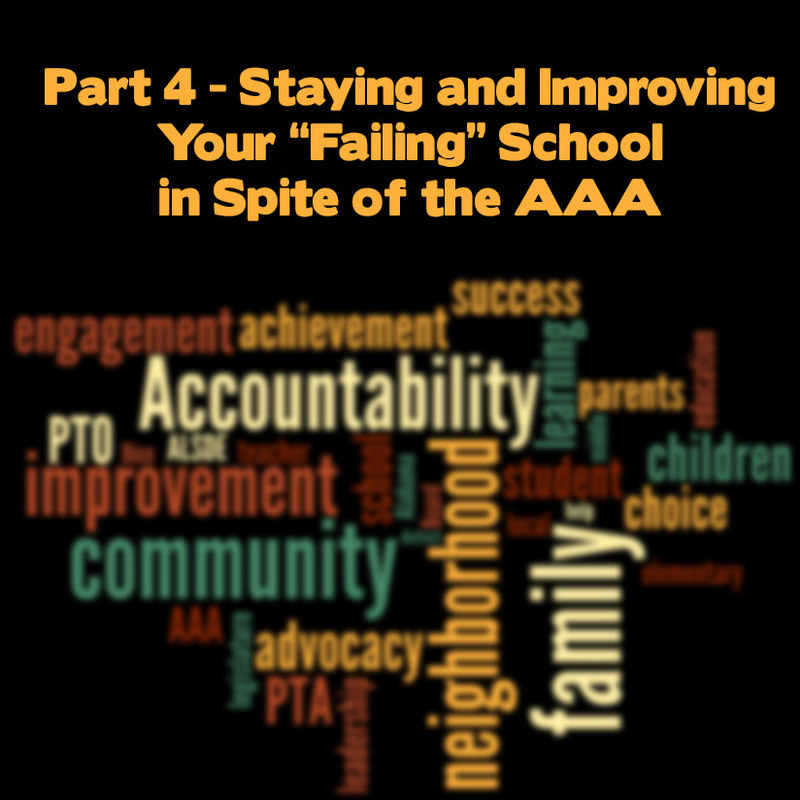 Ideally, if your child’s school ends up on The List of “failing” schools, your school and district officials will hold some community meetings to explain why the school is on The List and how they intend to partner with parents and families to get the school off The List. We won’t see the list until June 13. UPDATE: June 18: The List was released. Here’s a look at what The List does and does not tell us. That’s when you should ask what you can do to help. Some parents and families are more able to help than others. Each parent and family has to know what their abilities are and what help they have to offer. If your school officials give you a way to share your concerns, recognize you as a full partner, then the following steps may not be necessary. But if school officials say, “Don’t worry, trust us, we’re handling it” and turn you away, then you might need to step up your game. If you choose to push for improvement on your own, remember that individuals who push for improvement are often labeled “rabble-rousers” and “trouble-makers”. Individual efforts to push for improvement are much more difficult to accomplish, but not entirely impossible. In Alabama, too many Parent-Teacher Associations (PTAs) have chosen not to use their power to advocate, and instead function more like Parent-Teacher Organizations (PTOs). PTOs focus on supporting the efforts of school officials rather than taking action on their own. Here’s a look at a comparison of PTAs and PTOs. If your school has a PTO or PTA, you should first talk with them about how you can partner with them to improve your school. Groups other than PTAs and PTOs have gotten organized and pushed for reform and made things happen. These efforts are usually initially rebuffed by school officials, and occasionally war will break out. (Check out what’s happening in Chicago Public Schools for a sad example of a War.) If you can gather a like-minded group of parents and other interested community members, you have a better chance for success. I have found only one statewide group that states clearly they want to hear from parents and families who wish to improve their schools: StudentsFirst Alabama. 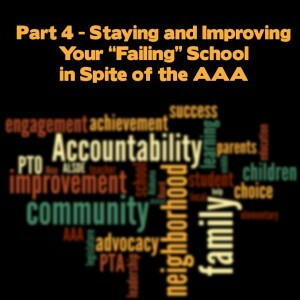 They have folks willing to talk with you and guide you through steps to improve your school. I encourage you to check them out. The third option is to get informed and get organized and create a new group of like-minded folks who are willing to persevere and do the hard work needed to get your school off of The List. The Guidebook for School Improvement? This Action Guide for Parent and Community Leaders was published by the Parent Education Network in 2003. I encourage you to read it as it was published to inform families how to use the No Child Left Behind (NCLB) provisions to improve their schools. But it’s a bit long and difficult to act upon. What I want to find is the “Guidebook for Parents Who Want to Improve Their Neighborhood Schools”. As far as I can tell, it doesn’t exist. This guide comes close. It arose from a Yes We Can movement in Battle Creek, Michigan, schools. Take a look. In lieu of a pre-printed Guide, what follows are my suggestions for how to start working to improve your “failing” school. First, you must understand what the academic situation at your child’s school really is. You need to understand clearly why your child’s school is on The List. We’re not going to worry with finances at this point. If your school officials do not share all of this information with you, the best way to understand is to get your hands on any and all achievement measures you can find. 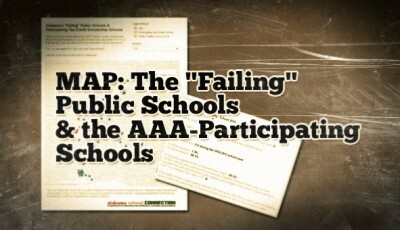 It is a shame that the ALSDE no longer produces school system and school report cards as they did in the years prior to the 2007-2008 school year. Here’s an example of what the ALSDE used to publish. It contained most of what I’m going to suggest you review. 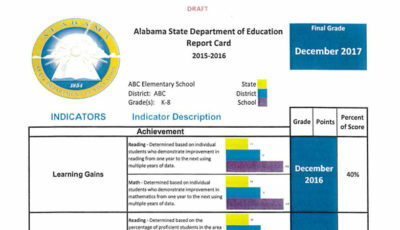 I have no idea why the ALSDE stopped providing these report cards. The whole idea behind the report card was to give parents and families real information about achievement and factors that may impact achievement at their child’s school. The ALSDE claims that its Annual Report Card for the whole state meets NCLB requirements. 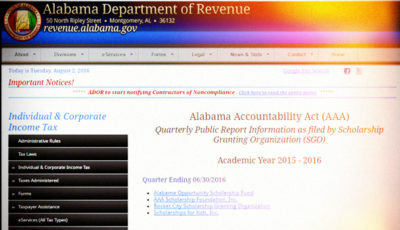 Here’s the link to the ALSDE Reports page. Feel free to poke around, but I suggest you look at the following reports…. Alabama Reading and Mathematics Test (ARMT) Results – Grades 3 through 8 – Here’s the link to the ALSDE’s Accountability page where you can choose which results you wish to see. Graduation Rates – Here’s the link to the ALSDE’s Accountability page. 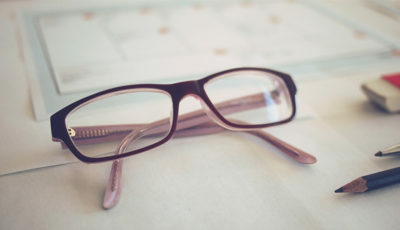 Go to “Accountability Documents and Reports”, choose the year 2011-2012, then choose one of the first two reports listed that shows the “Cohort Graduation Rate”. Once you choose it, it will download an Excel spreadsheet to your computer. Breakdown of Student Population by Race/Ethnicity – Here’s the link to the “Public Data” reports on the ALSDE site. Use the pull-down menu to choose “Enrollment by Ethnicity and Gender”. Then you can use the “+” signs to get a greater breakdown. NOTE: It is MUCH easier to “export” the file to your computer to read it. Use the “Select a Format” menu to choose which file type, then click “export”. Percentage of Students on Free or Reduced Lunch – Use the same link for Public Data reports. Choose “Free Lunch by System and School”. Again, it’s much easier to export the file to get a good look at it. How children with Individualized Education Programs (IEPs) performed on measures looked at by the federal Office of Special Education Programs – Go to this link, then choose your school system. This, too, is only by system, not school. The Continuous Improvement Plan is a report that will give you an inside look at what your school is doing or planning to do to improve achievement. These are filed by school. The Public Affairs Research Council of Alabama (PARCA) publishes ARMT data by school and by district to allow communities to see trends and trouble areas for students. PARCA has devised a powerful and easy-to-understand system to view ARMT scores. The Alabama Commission on Higher Education (ACHE) publishes a report showing how many students from which Alabama high schools had to take remedial classes as a freshman in college. Get as much of this together as you can. Let me know if you need help understand what it tells you. Go back and read Part 1 of this series. The Flex Option gives a school and district the ability to ask for permission to waive pretty much any state law and ALSDE rule or regulation. Sure, the request has to come from the Superintendent of the district, but somebody has to start that conversation. So why don’t you start it? Flexibility may be just what your school needs to deliver instruction better to the children in your community. You’ve gotten informed. Now start talking. Share what you’ve learned with your friends: at church, in the grocery store, at the football game, with your children’s friends’ parents and families. Please don’t bad-mouth the school, just start the conversation with something like, “what do you think about our school being labeled ‘failing’?” And then ask them how they might improve the situation. Try not to speak badly of your child’s teachers or of other personnel at the school. Don’t point fingers or place blame. You don’t want to hurl insults and hurt feelings. This is how the conversation begins. This may be very difficult for you: talking with your local school and district officials, which includes your school board members. This step is particularly hard if you have had conflict with them in the past. But you must engage them in the conversation. We cannot succeed in improving our schools without creating an authentic partnership between families and school officials. Share the data and reports you have gathered. Ask them specifically what they intend to do to turn your child’s school around to get the school off of The “failing” List. School officials have all the power to make all of the changes…or they can choose to make none of them. If you find your school and district officials are not interested in listening to you, then you must then step around them and find someone willing to listen. If you belong to a church (or even if you don’t), ask your local church leaders if they will help start a conversation with school and district officials about how your community might be able to help improve the schools. Share the information you’ve gathered. Ask your city or town leaders (county leaders are a little more difficult to bring to the table) if they will talk with you about how to improve your child’s school. Ask your local business leaders for help. Reach out to civic groups like the Rotary and Kiwanis clubs. Find a local League of Women Voters chapter and ask for their help in elevating the conversation with local school leaders. For most families, this is really difficult. Finding the folks that you need to speak with, that can really help you, can be difficult. It’s hard. But it’s worth trying. Contact your local Regional Workforce Development Council representatives. These folks have lots of experience in working for improvement and are often looking for parents and families to help them start the conversation with school and district officials. Then contact your local state legislators: your Representative in the House of Representatives and your State Senator. Here’s a tool where you enter your ZIP code and it tells you who these folks are. State legislators tell me they WANT to hear from local folks. If there was ever a good reason to call your state legislators, this is it. Don’t hesitate to call the State Department of Education (ALSDE). If you are unable to get your local school officials to hear you, the ALSDE will be able to point you in the right direction. Call the main number: (334) 242-9700. Tell them your story. Ask them for help. StudentsFirst Alabama is a group that works with parents in their communities to craft strategies for improvement and offers support for parents and families. They would love to hear from you. In no way am I implying that speaking up, reaching out, and rabble-rousing is easy. I came across this wonderful collection of short posts about how difficult it is for communities and parents and families to get their voices heard and have an impact on school improvement, so it’s not just you. Not just us. It’s a struggle all across Alabama and across our country. A necessary struggle. Gather the information. Start talking. And stay tuned for more ideas about how you can impact student achievement in your schools. Actual things that parents can do in their child’s classroom or school to improve student achievement. There are more things to do than you might think. These books belong on your Summer Reading List. David Mathews, current president of the Kettering Foundation and former President of the University of Alabama (1969-1980) has written extensively about the need to re-engage the public in the public schools. I encourage you to pick up his books from your local library, specifically (1) Why Public Schools? Whose Public Schools? What Early Communities Have to Tell Us, (2) Is There a Public for Public Schools?, and (3) Reclaiming Public Education by Reclaiming Our Democracy. Maybe we can start a Virtual Book Club to discuss. If you’re interested, let me know here or on the facebook page.